I am half way there, i must thank you for confirming that i am on the correct track. I will resume my task later. I think i must have found the same website that you did. About 3/4 of the way down the page you will find the image! You beat me both, but I had to prioritize work. 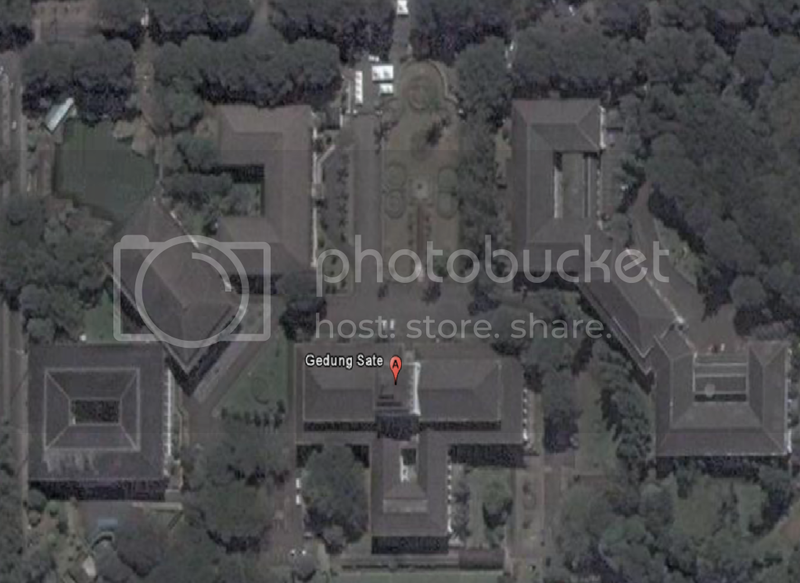 Here is a cut from Google Earth of the surroundings. OK, that was too easy for the consummate puzzle solvers on CV. Well done. You know, the location is written in each of my posts, therefore the description of the second step. Just looking at the photo there is no possibility to identify the tower, i think. The Stuttgart tower is the first of it's kind. It was opened in 1956. Although today one of the smallest towers, it offers a great sight, because it is located on a hill and therefore almost 400m higher than downtown. Here is another puzzle for the quiz lovers. Which famous lake is this??? There are some clear hints here too, but the answer is not written in the garden at least. Last edited by ombugge; April 16th, 2011, 15:37. There are temples, typical colors of South East Asia and possibly even Thailand. Could it possibly be Bungsamran Lake in Thailand? I can't compare with our captain when it comes to Thailand, but in this case I want to answer different and say: Srinakrin Dam's reservoir. No it is not Bungsamran Lake, but you are in the right part of the world. Also not correct, but you are in the area. Then I think we might need to cross the border from Thailand, to Burma/ Myanmar. 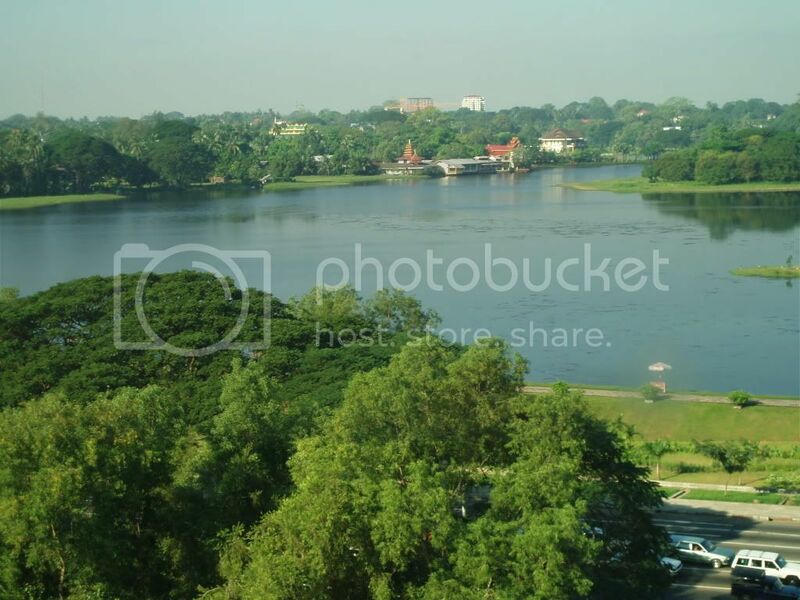 It is indeed the Inaya Lake in Rangoon. Picture taken from my hotel back in 2005, before it became a swiming pool for American entusiasts. When working in Rangoon back in 1999 I used to drive the road seen in front and passe the front gate of Ang San Suu Kye's house, (which is a bit to the left of this view) every morning and evening. In 2005 the road in front of her house was blocked for non-residents. Burma is still a very nice country, with some of the friedliest people in the world. But I would love to go back there again!!!!! That was what I was referring to yes. The Generals would probably have found another excuse to hold her until after the election in any case, but still stupid. Well, I don't. Did they treat you that bad that it changed your life? As for legality of government, it is not for people from other countries to decide, either by sanctions or military support to rebel forces. I have been in Burma many times and over a long period of time, including during the Ne Win period, when the country was closed to foreigners, except foreign seamen. Things were difficult and no development in sight. In 1975-1977 when I was there with Esso, there were small groups of tourists being allowed in and a few signs of improvement. In 1999 I worked there for Total for a few months. Burma had become a member of ASEAN and things were changing, both politically and economically. Foreign companies, especially from ASEAN countries, but also European, Japanese and US firms, had set up shop, new hotels were shooting up and a election was held, but did not go the way the Generals wanted, so it was annulled. That triggered sanctions and stagnation, both on the economic and political front and it is still on, although mainly US firms and the Burmese population are affected, not the Generals. It is one of the most interesting countries in the world, in my opinion. Changes can only be induced by trade and direct influence, not by sanctions and treat of force. That lesson should have been learnt by 50 years of trying to blockade Cuba. What has been obtained, except that Fidel is no longer smoking big fat cigars? I don't think that is because of US treats to kill him with an exploding cigar in any case. Now back to business. You should have some good pics to put up as puzzles from your resent travel. Ombugge--Here's one of the first blog posts I made after visiting Burma.. But basically, the question was put in my mind..Why are the Burmese people so happy when they have absolutely nothing I consider necessary for daily survival? I absolutely agree with you that sanctions seldom work...neither does force. There's so much left to learn!! !